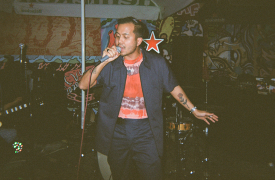 deli¢adeza is the rap alter ego of Manila-raised singer, songwriter, and producer jdv plus. His debut mixtape 'cuatro' proudly pushes his Filipino heritage to the limelight and rises from the rawest, unedited parts of his mind – recounting autotuned tales of betrayal, anti-colonialism, deception, and depression over silky trap beats. 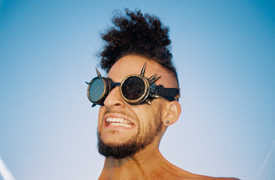 Rhys Langston is a vocalist, producer, and multi-disciplinary artist born, raised, and based in Los Angeles, CA. Live in concert and recorded, his works are available in high-definition stereo and full-frontal honesty. While polished and multi-varied in the studio environment, his live performances see a free-form junction between beat-based music, stand-up comedy, and avant-garde poetry. 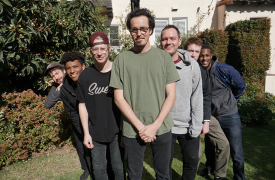 Consequently, he has earned the kind praises of AFROPUNK, LA Weekly, TinyMixtapes, LA Record, Passion of the Weiss, EARMILK, and other respectable outlets. He remains the poet laureate of his living room, and has a higher vertical leap than your favorite rapper. Led by young Roswell, The Rowell Universe is a journey to new places: sonic, emotional, personal, collective. We refresh the soul by expressing something honest and letting you take it from there. Gravity took hold when we formed in Los Angeles in February, 2017. With so much incredible music bubbling in this city and in the world, we just hope to contribute to that beautiful creativity by speaking our truth through music.